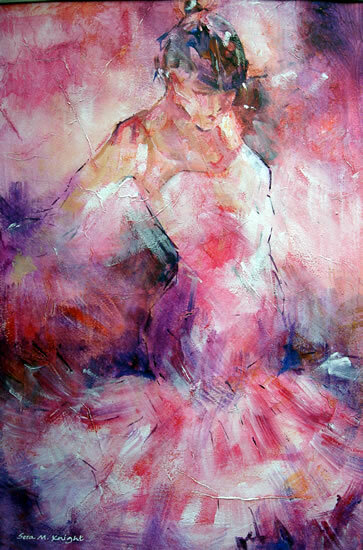 Absorbed in Dance - Art by Sera Knight - Surrey Artist - Dancer - Surrey Artist. Art in Watercolour, Acrylic, Mixed Media. Note: There may be slight variations in colour for the pictures displayed, depending on your pc & screen and limitations of photographic and scanning equipment and related processes.